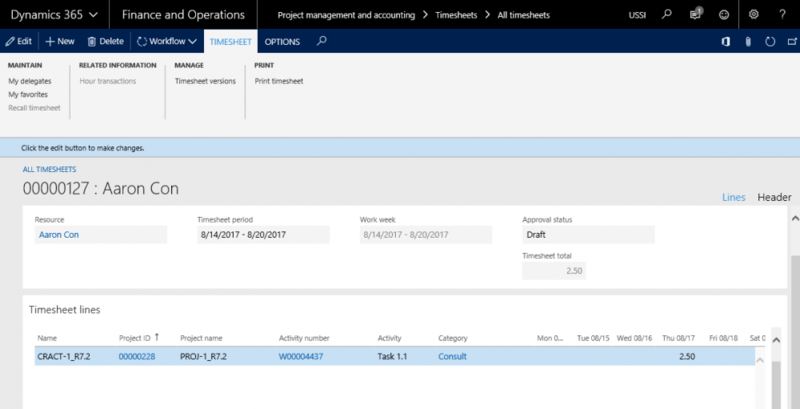 The timesheet data integrated from Project Service Automation application (PSA) to Microsoft Dynamics 365 for Finance and Operations can be reviewed on the All timesheet form. The individual details about each timesheet can be seen on the timesheet entry form as shown in the below picture. 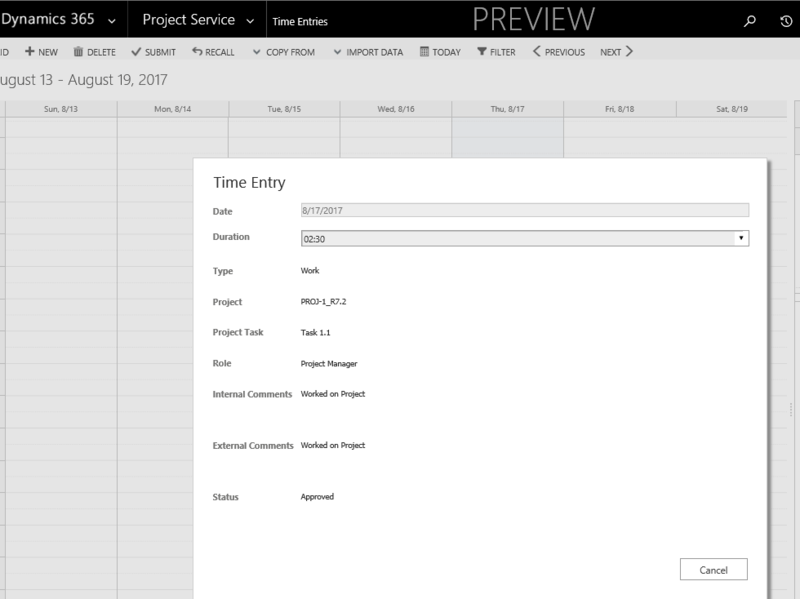 The time entry data integrated to Microsoft Dynamics 365 for Finance and Operations can be compared with Project Service Automation application (PSA) on the below form.